From playing to paying, vívoactive 3 is the smartwatch for your active life. Make contactless payments with ease, right from your watch, and with more than 15 preloaded sports apps — you can choose how you like to get fit. Built-in GPS lets you record the distance, pace, location and more for your outdoor activities. 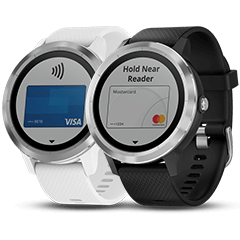 vívoactive 3 is our first wearable to feature Garmin Pay, which lets you pay for purchases with your watch. Use it just about anywhere you can tap your card to pay1. So, if you left your wallet in your locker or just forgot it, that post-run morning caffè latte can still be yours. Just tap and go. vívoactive 3 is compatible with our Connect IQ store, where you can download watch faces, widgets and apps that make it go from smartwatch to your watch. 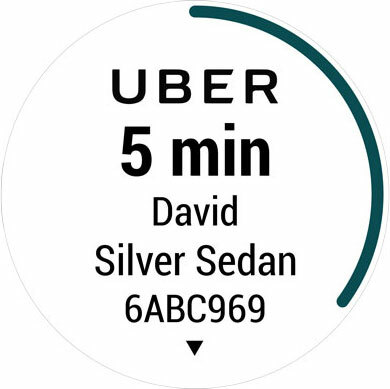 Keep tabs on when your Uberis arriving, turn on your lights at home with the SmartThingsapp, and even use the AccuWeather MinuteCast app to find out when the rain will start. You can also use our free Face It™watch face app to add personality to your device that’s uniquely you. Just download the app, choose any image from your photo library, make your customizations, and set it as your watch’s face. With more than 15 preloaded sports apps, finding a fun way to stay active is easy. Hit the golf course, go for a bike ride, take a yoga class, or even try your hand at stand-up paddle boarding. When you head outside, built-in GPS lets vívoactive 3 track the details of your chosen activity — with no phone connection required. From snowboarding to swimming and at least a dozen other options in between, this watch is the perfect playmate. Feel free to take this watch outside in all kinds of weather. Not only is it safe for swimming and showering, its Garmin Chroma Display™ is easy to read — even in direct sunlight — and housed under extra-durable glass. It also features the Side Swipe™ interface, which makes for quick scrolling and swift navigation of menus and widgets. Whether you scroll with your thumb or index finger, you can choose how to wear it. Comfortable, convenient and easy to see — vívoactive 3 just fits. Keep your workout schedule fresh and invigorating. 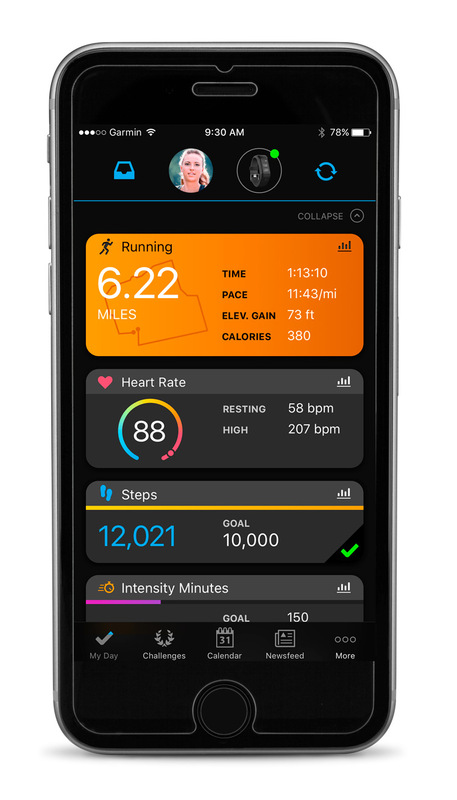 Create your own custom running, cycling, cardio or strength workouts, and download them to your watch. Then, your vívoactive smartwatch will keep track of the exercises, reps, sets and rest time for you. With help from Elevate™ wrist-based heart rate technology², vívoactive 3 lets you monitor key aspects of your fitness and stress to show how your body responds under various circumstances. 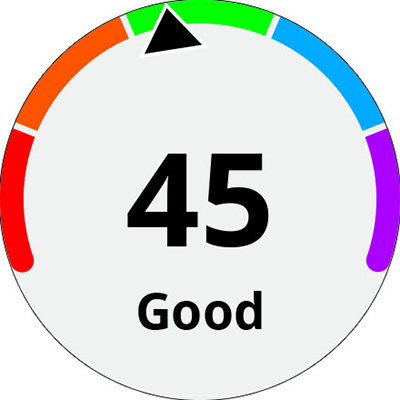 For example, it’s able to estimate your VO2 maxand fitness age — 2 indicators of physical fitness that can often improve over time with regular exercise. It also tracks your heart rate variability (HRV), which is used to calculate and track your stress level. vívoactive 3 can make you aware when physical or emotional sources cause your stress level to rise so you can find a way to relieve the pressure. Life doesn’t have a pause button, so stay connected with your vívoactive 3 smartwatch while you’re playing hard or working out. 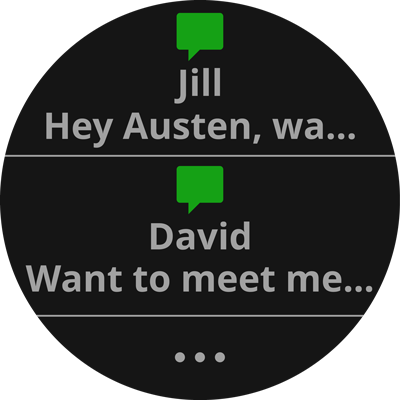 Once paired with your compatible smartphone, you’ll be able to receive and even respond5 to text messages and see social media updates, emails and more right on your wrist. 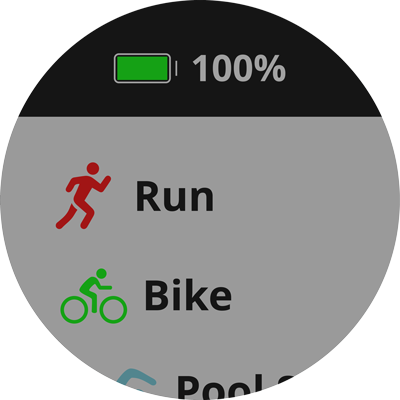 Find your phone, access music controls and let friends LiveTrack your sports. Your finished activities will even automatically upload to our Garmin Connect online fitness community. ¹Available for supported cards from participating banks; contact your bank for more information. Only available at NFC-enabled terminals. View current supported country, payment network and issuing bank information. 5Responding capability available for Android™ customers only. Android is a registered trademark of Google Inc.
VISA is a registered trademark owned by Visa International Service Association. Mastercard is a registered trademark and the Circles Design is a trademark of Mastercard International.